When you're looking for a glamorous tropical getaway, The Bliss Resorts are an enticing option. 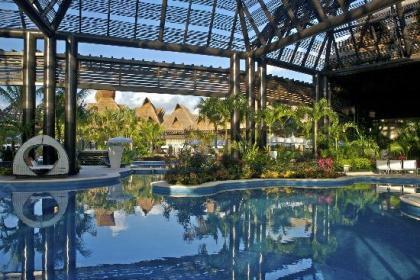 Their Riviera Maya location, on Mexico's Caribbean coast, pampers seaside vacationers against a lush jungle backdrop. Exotic touches are everywhere at The Bliss Resorts - wonderful reminders of your tropical setting when you pass the crocodile enclosure or spot a wandering pink flamingo. The Riviera Maya timeshare property's resident iguanas seem practically commonplace by comparison! Almost as plentiful and even more fun are the multiple swimming pools throughout The Bliss Resorts complex. You can play in the water whenever you like, as at least one pool is open around the clock, every day. With an impressive lazy river and terrific water slide, you get plenty of options beyond just swimming. If you're the sort of owner or renter who's always on the go, whether exploring Mayan ruins or the famed resort town of Cancun, you‘ll know that upon your return you’ll have a plethora of pool choices or the selection of nearly a dozen restaurants from which to choose. Footloose vacationers love that The Bliss Resort complex is centrally located to many Riviera Maya attractions such as Tulum or Xel-Ha. If it’s golf you’re after, The Bliss Riviera Maya timeshare resort gives you access to the 18-hole Jack Nicklaus-designed El Manglar course. The Bliss also offers golf lessons for children – giving them a head start on the competition. Children’s activities are abundant at The Bliss Resorts, whether centered on the beach, pool, beach trampoline or climbing the rock wall. The video game room will also keep them going, while the Kid’s Club provides supervised activities throughout the day. There’s even a baby-sitting service for parents looking for those adult activities. For the ultimate in relaxation, the Brio Spa & Fitness Center allows you to be pampered with a relaxing massage, facial or body treatment, or take advantage of the sauna, steam bath, Jacuzzi or cold plunge tub. Grab a workout in the gym, yoga room, spinning and Pilates machines, or enjoy the full-service beauty salon. The accommodation is second to none, with Mexico timeshare resorts providing world-class resort destinations. Each unit offers a private outside terrace with views of the Mayan jungle. Suites give you that extra living and dining space while units one bedroom or larger offer kitchen facilities, making it that much easier to grab breakfast quickly before starting your sightseeing plans for the day! You're sure to want to own a piece of this Mexico timeshare resort, and you can find timeshare resales at The Bliss Resorts among the Riviera Maya timeshares for sale here at BuyaTimeshare.com. You can purchase your right-to-use membership directly from an owner advertising their timeshare for sale and save thousands of dollars compared to buying directly from the resort developer, who needs to mark up resort prices to cover sales and marketing costs. Developer pricing also builds in the cost of original construction, which translates into huge savings when you instead find a Riviera Maya timeshare for sale on the resale market. 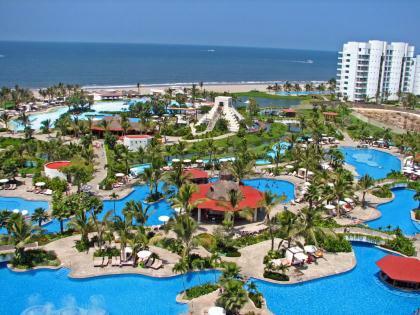 Buying Mexico timeshare from a developer also requires meeting with sales representatives at or near the resort. This takes precious time out of your vacation and forces you to spend it in contract talks. Those discussions often take far longer than you expect, especially in Mexico, and usually occur during prime time for the beach or pool. Why spend your valuable vacation hours doing what feels suspiciously like work? Vacations at your new Mexico timeshare are sweeter when you know your purchase was settled before ever leaving home, not to mention realizing that you paid far less than a developer-direct membership would have cost. When you're in search of a Riviera Maya timeshare for sale or for rent, consider The Bliss Resorts - a self-contained resort playground with attractive, spacious units to use as a convenient base for day trips in the area. 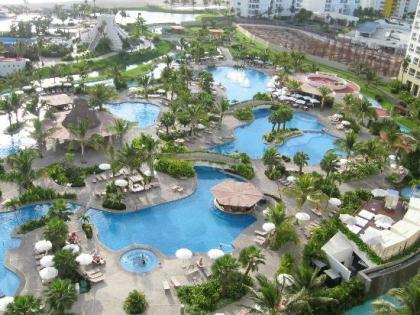 This versatile Mexican resort is just the ticket – so search the available inventory here at BuyaTimeshare.com and you’ll be saying Viva Mexico before you know it. Contact The Bliss Resorts Specialist Today! Besides living in the most luxurious suite, the resort amenities are superb. There is a great selection of fine restaurants. One can have delightful walks along the endless paths. I love to swim in the several beautiful pools and in the ocean. This is a spectacular place for golfers and just for relaxing. We had a medical emergency and the staff were incredibly helpful, taking care of everything.